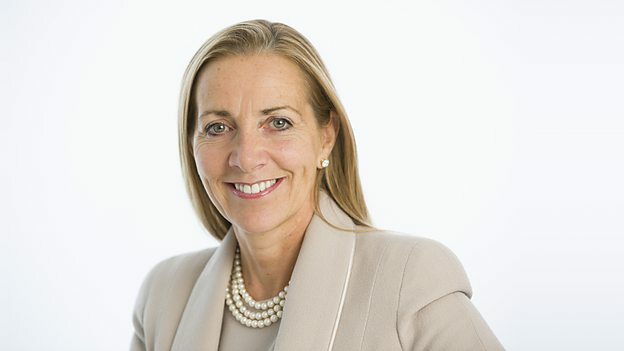 BBC Trust chairman Rona Fairhead will step down when a unitary board replaces the BBC Trust, after being informed by the government that she would have to re-apply for her job. In a statement, Fairhead said that she had been “strongly encouraged” by new UK prime minister Theresa May to take part in a new appointment process for what would be a new four-year term as BBC chairman. Fairhead was appointed Trust chair in 2014 and was asked by the previous government, under David Cameron, to stay on until the end of her four-year term to help oversee the move to a unitary board, which will replace the BBC Governors and the BBC Trust. The establishment of the new board was one of the plans for the BBC’s next Charter period, as set out by the government’s White Paper on the future of the public broadcaster, which was published in May. However, in August a Culture, Media and Sport Committee of MPs criticised the appointment of Fairhead to chairman of the new unitary board, claiming that the two roles at the Trust and the new board are “very different, and have very different responsibilities”. The committee said that the process of appointing the chair should have been via an open and public competition process, with chair of the Committee, Damian Collins MP, commenting at the time that the “unusual appointment would likely be referred to the Commissioner for review”. A spokesperson for the BBC Trust said that Fairhead will continue in her current role until it effectively ceases to exist, with theintroduction with the new unitary board. This is due to be established at the end of the BBC’s current Charter period, which is due to run until December 31, 2016. “I took on leadership of the Trust to help stabilise, strengthen and develop the BBC following a very difficult period in its history and through Charter Review. I was always clear that I was willing to serve for four years, after which I would continue my career in the private sector,” said Fairhead.